The cord these are made from is one strand dyed in multiple colors, thus the reason of a solid color 2 inch ball. Some of our other styles are sewn with different colors. Which do cost more. Perform with class! Use Professional Hand Knitted Crocheted Balls from Ronjo. Made in the U.S.A. by a true artist. We offer a wide variety of sizes, colors, patterns and textures in sets and singularly. We have Balls for Cups And Balls, Chop Cups and Load Balls. Each ball is hand knitted for tightness as well as aesthetics. 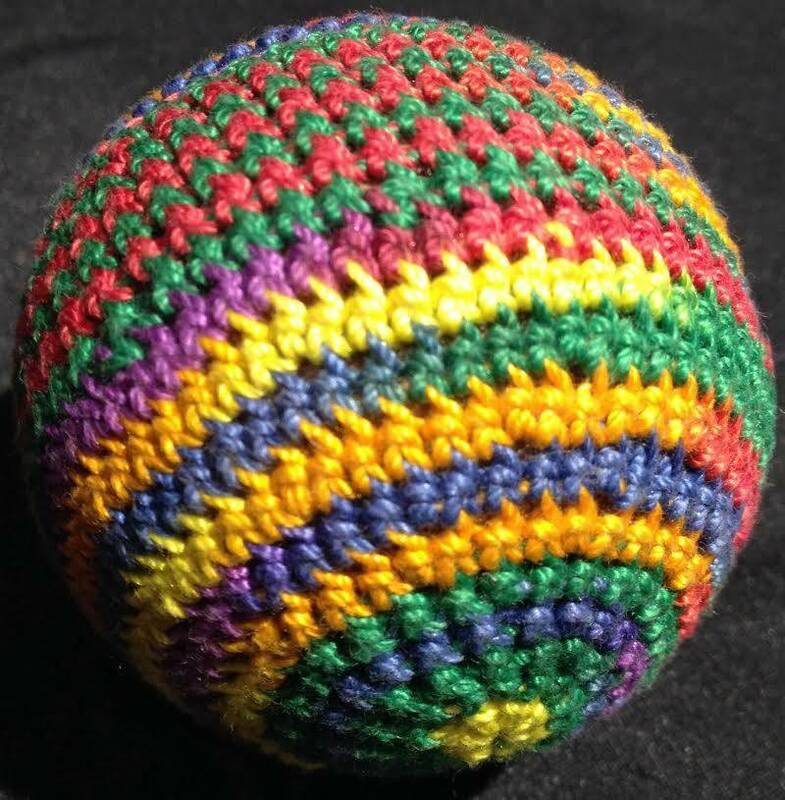 Every Ronjo ball is knitted with soft cotton that will last and the fibers do not snag on our fingertips. As Load Balls do not need to be manipulated ours are made from lightweight natural cork. These balls won’t weigh down your pockets! Ronjo balls are hand washable to give you years of service. Please note: Monitor Colors, Contrast, Brightness and other factors including the camera that took these pictures really do not do these balls justice. A photo simply cannot capture the vivid colors and intricate patterns. They look great and they feel great. Try them and you will recognize the difference right away! If you disagree send them back within 30 days for a full refund. Cheap balls have a moving loose fit and many cheap balls have fibers that pull and snag when they come into contact with your skin, pockets or table.